These kajals are priced at 250 rupees each and are available in 6 colors like Blue, Grey, Green, white, Brown and the obvious black. I think this range has all the basic colors except for purple which is a much needed and liked color especially for brown eyes. Both the kajals are packaged as a retractable tube form which I find extremely user friendly and hassle free to use. You don’t have to worry about sharpening the lid and the much annoying lead breaking thing, which can drive you nuts at times, while you are in a rush, isn't there. So, these kajals or eyeliners will spare you from that. Moreover, their lids aren’t too soft that make them break easily. Grey: Eyeconic kajal grey is quite a unique color that I have never seen. It‘s a medium dark grey not too dark or too light. 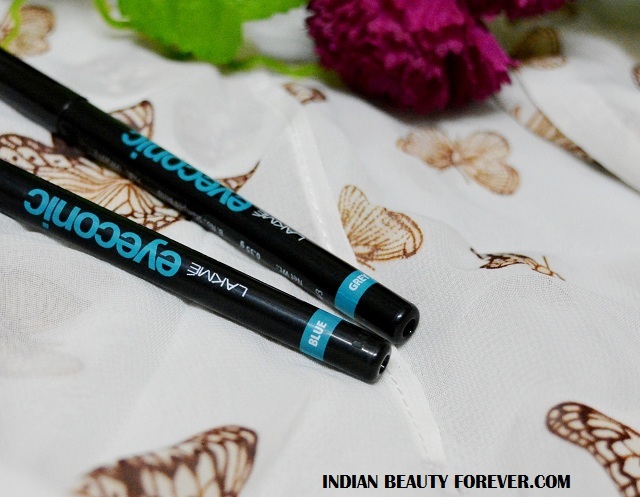 It can be used as a kajal or over the lids as eyeliner. On dusky skin tones, it may not look as good as it will be bold stark light on them whereas for fair skin it will add a soft smokey effect. This is something that I will leave up to you if you wish to try the color as I don’t see that this is a color that I should recommend to you. It’s a tricky color I should say. Blue: Lakme kajal in Blue is a beautiful dark navy blue which looks stunning on the waterline or even when applied as eyeliner on the eyelids. It is superb which makes me recommend it to you girls with fair to medium skin tones and it won’t be visible for dusky skin tones. 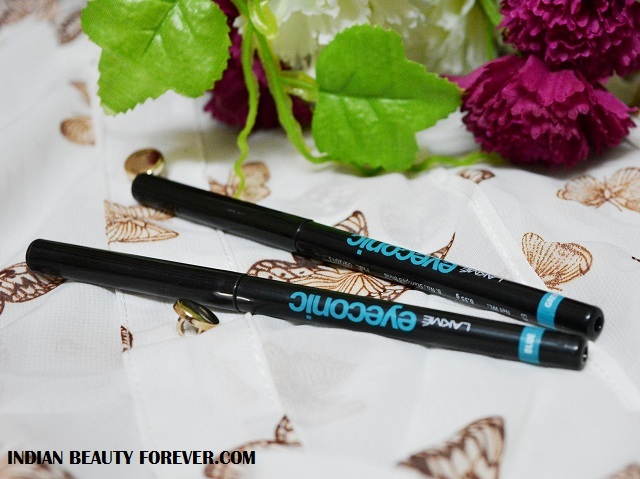 Other than the colors these two have the same features as that of the rest of the Eyeconic eyeliners/kajals from this range like their smooth texture and amazing pigmentation. Just a single stroke will give you an intense color. It doesn’t tug or pull the eyelids too badly, in fact glides smoothly. They take around 30 seconds to get set and once they do, they will become smudge proof. I have myself been a fan of their staying span and smudge proof, waterproof nature. I have worn them on my eyelids for up to 9 hours and they were there with no visible signs of smudging. 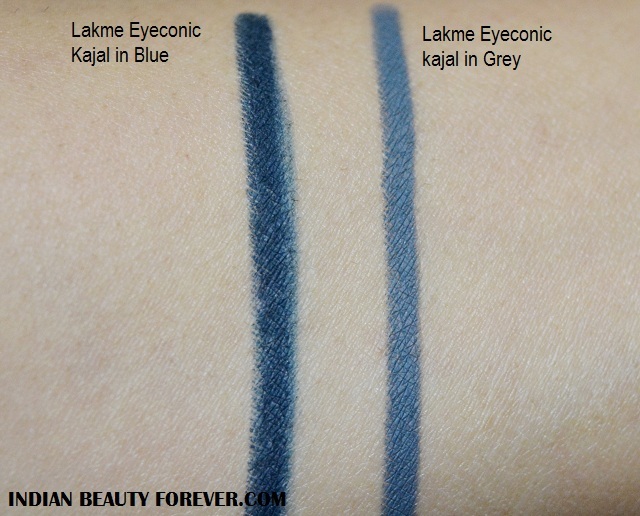 Take: I have said this earlier that Lakme Eyeconic kajals are a must try and total value for money. You can pick the color that you like as all of them have the same features like good pigmentation, staying span, texture etc. 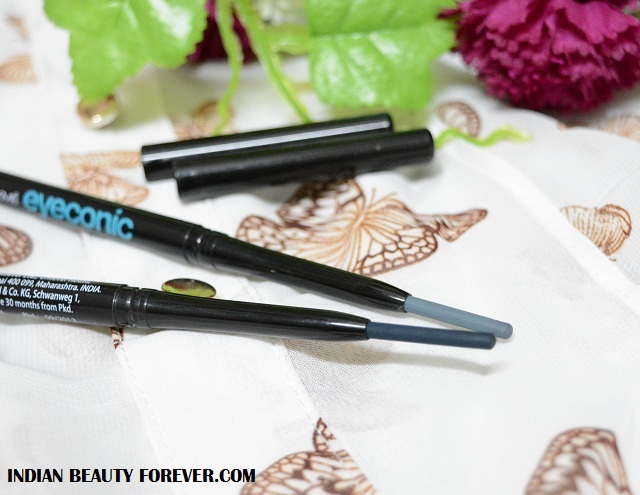 Except for the Eyeconic kajal white which has a tad softer lid and has finely milled shimmer. OOoo...so stunning, these were definitely made for Indian ladies and your beautiful deep set big eyes! Love the blue shade and they work so well together! The blue looks lovely on you. I didn't like the grey much...looks a bit chalky. lovely clicks di.. 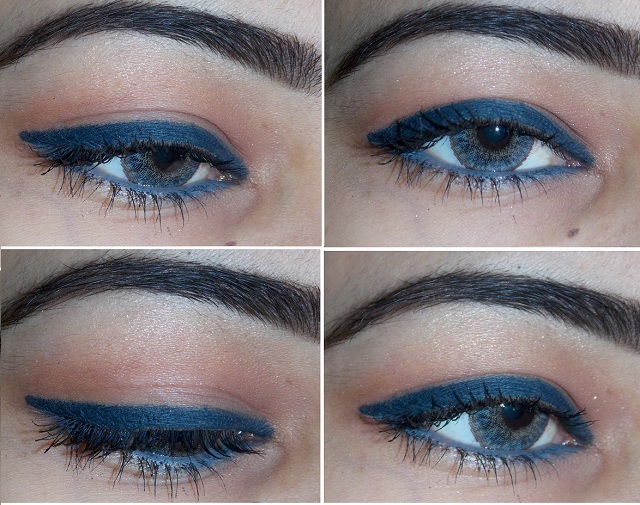 I'm in love with my blue shade..
Lakme kajal in Blue is totally for me. I love how it looks on you!